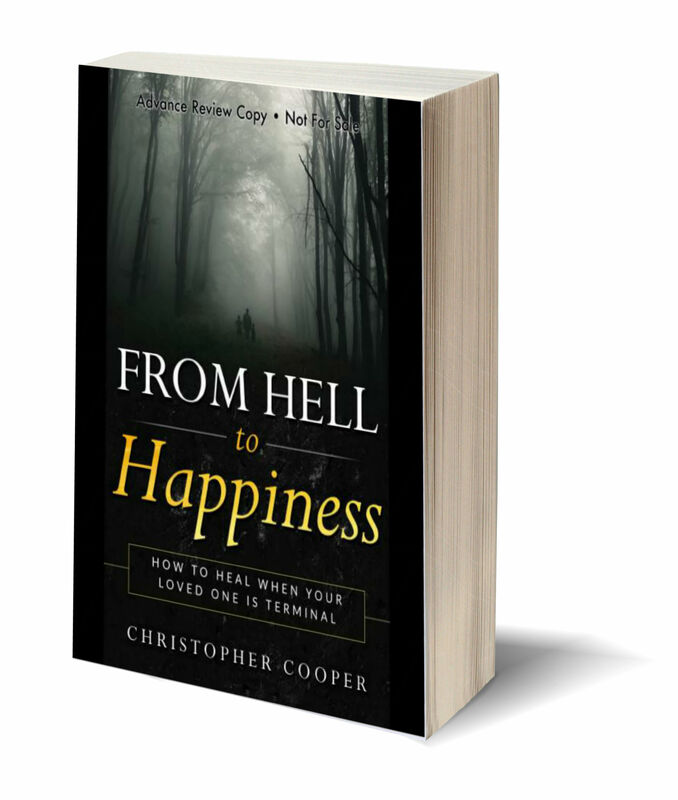 Hard-won hope and happiness conquer death and despair in this wonderfully inspiring new book by Christopher Cooper. In its pages Cooper recounts his wife Jenn’s brave two-year battle with cancer and the ripple effects her illness caused for their small family. His intimate narrative, often tinged with touching vignettes about Jenn’s grueling treatment regimen, puts the reader right in the middle of a family in crisis, and vividly brings home the truism that cancer doesn’t have just one victim. In this case, it tried to claim Cooper and both boys — one school age, the other in daycare. To fight back, he made a number of proactive moves that he strongly recommends to anyone going through a similar struggle. First, he advises, seek the help of a professional therapist well before your loved one passes on. Friends are great to vent with and talk to, he says. But there is no substitute for professional assistance. It can mean the difference between you making it all the way through the dark tunnel of despair — or going down in flames emotionally midway through, never to rise again. In that case, he points out, you’re of no use to anyone, much less the people counting on you. There is also a wealth of solid practical advice throughout this remarkable book. Cooper tries a number of techniques to cope with the pain, grief and — occasionally — guilt brought on by Jenn’s impending death. Everything from binge-playing Minecraft to Zen Buddhism meditation to making sure he listens to plenty of therapeutic music. Then he goes into great detail about the fulfillment of Jenn’s Bucket List. This included seeing — and meeting — several world-famous bands and a classical music composer whose work both Jenn and Chris admired. Plus, there were trips to Disneyworld and DIsneyland, thanks to generous donors. At one point, however, Cooper references a brief YouTube video Jenn made about this time, to be posted after her death, and it is well worth searching for. It is both riveting and heartbreaking at the same time. Some readers may be upset by it. But even so, it shouldn’t be missed. All the verbiage and photos in the book can’t make the story as real as watching these eleven unforgettable minutes. It’s no wonder it has amassed more than 70,000 views. In the final analysis, this book is a thoughtful, articulate, detailed account of a young mother gone too soon and the husband and children she leaves behind to cope as best they can. Cooper does an excellent job of allowing us to share in their emotional journey. His hope is that others going through a similar Hell can also find happiness on the other side by reading his book and adopting some of his coping techniques. Early and often, he admonishes, put these tips into practice — before your loved one passes away. You’ll still have to go through all five stages of grief. But, by following this patient and good man’s advice, you’ll arrive on the other side of Hell with a much better chance of being happy. We award five and a half stars to this courageous book. It is so much more than just another self-help primer on how to cope with losing a loved one. It will undoubtedly have a huge and life-altering impact on anyone who finds himself — or herself — in Chris and Jenn’s unfortunate situation.